With a transitional style, these side chairs are finished in a brown cherry while providing comfort through its padded leatherette seat. 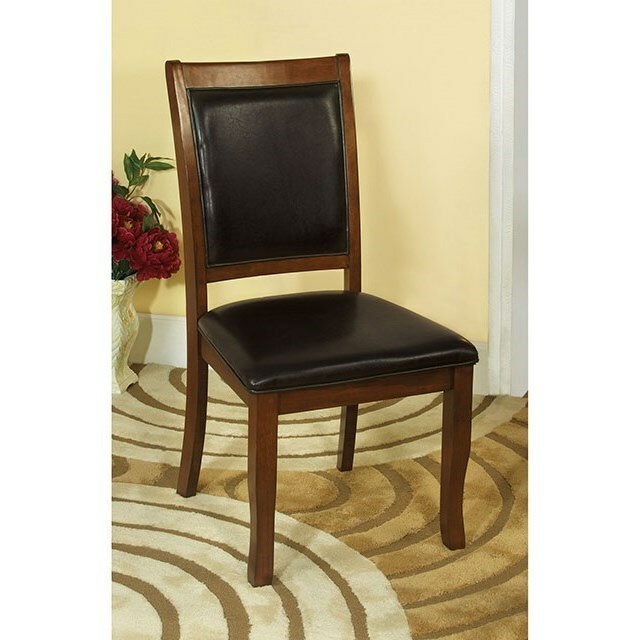 The Sandy Point Set of Two Transitional Side Chairs by Furniture of America at Furniture Superstore - NM in the Albuquerque, Los Ranchos De Albuquerque, Rio Rancho, Santa Fe, Corrales, NM area. Product availability may vary. Contact us for the most current availability on this product. Browse other items in the Sandy Point collection from Furniture Superstore - NM in the Albuquerque, Los Ranchos De Albuquerque, Rio Rancho, Santa Fe, Corrales, NM area.